08:00 – 08:30 hrs. Pick up time from Hotel to Park Hopper and Pier. 08:30 – 09:00 hrs. Arrive at Park Hopper and Pier for tour information. 11:00 – 11.45 hrs. Arrive at Khai Nui Island, enjoy the greatest snorkeling. 12:00 – 13:00 hrs. Return to Phuket and offer Mini lunch at Park Hopper and Pier. 13:00 – 13:30 hrs. About time arrive at Hotel. 11:00 – 11:30 hrs. Pick up time from Hotel to Park Hopper and Pier. 11:30 – 12:30 hrs. Arrive at Park Hopper and Pier for tour information and offer Mini lunch. 14:00 – 14.45 hrs. 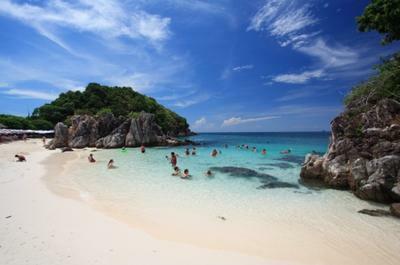 Arrive at Khai Nui Island, enjoy the greatest snorkeling. 14:45 – 15:30 hrs. 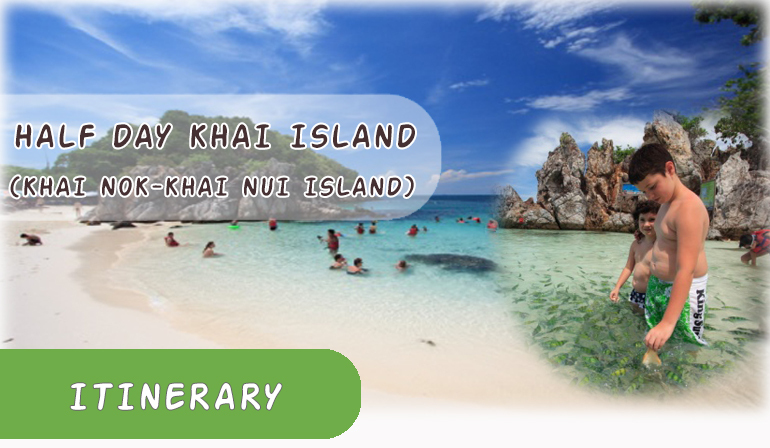 Back to Khai Nok Island for your leisure time. 15:30 – 16.00 hrs. Return to Phuket. 16:00 – 16:30 hrs. About time arrive at Hotel. - Land transfer from-to hotel & Park Hopper and Pier. - Information & check in your equipment. - Life Jacket, masks & Snorkeling and flippers.